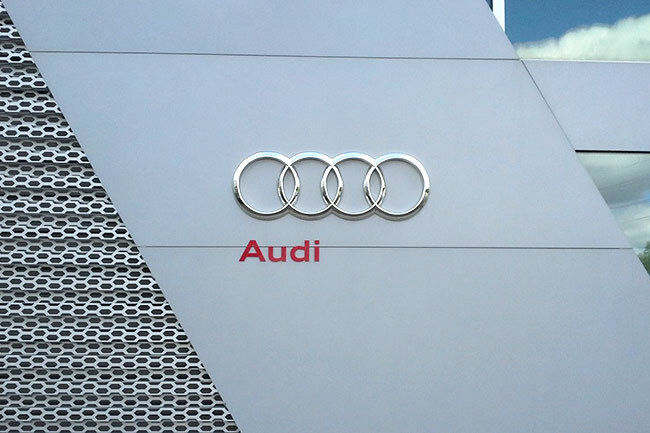 This brand new dealership being built in London next to Dalmar motors, is a state-of-the-art facility incorporating Audi's strict design guidelines with necessary changes to suit the Canadian climate and the specific location. The building sports such features as hot water infloor heating in the stunning new car showroom, automated car wash, and a new car delivery area with lighting designed to showcase each car as it gets ready to roll out of the dealership. Brand new building for this relocated dealership incorporating Mazda's latest brand image, and located in London's latest auto mall in the east end of town. 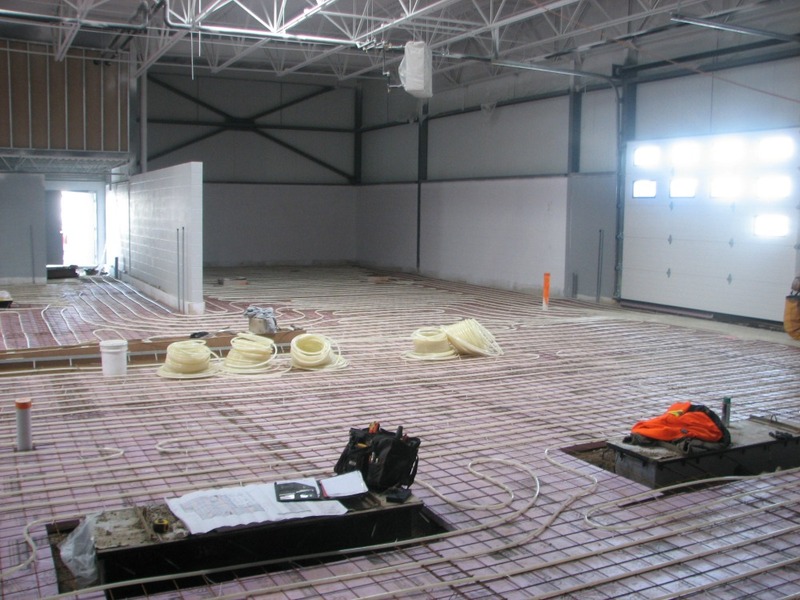 The photo shows the installation of the infloor hot water heating which was installed throughout the service bays and service drive thru. The first new dealership in the London airport auto mall, it incorporates Kia's brand image into a large new building serviced by a simple but effective HVAC system consisting of numerous small packaged rooftop units. 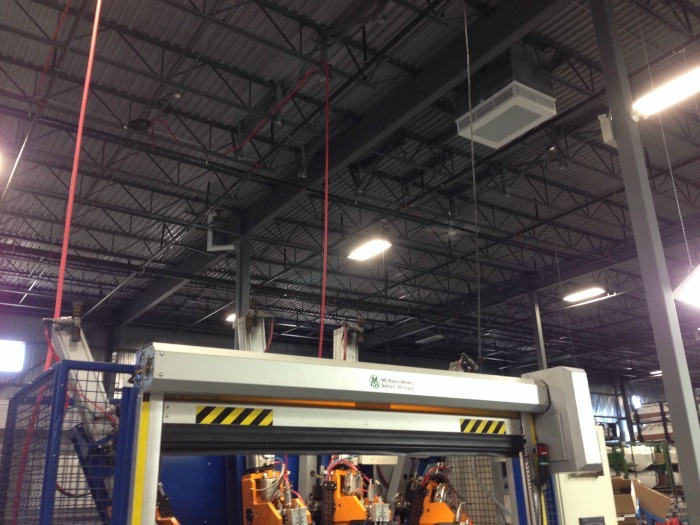 This large addition was constructed to house one of the assembly lines, staff areas, meeting rooms, and working warehouse that provides the finished bumpers for a few models of SUVs. Packaged HVAC units with discharge heads provide simple and effective zoning throughout the addition. This new auto dealership was one of the first to move into the expanded auto mall on wharncliffe road south. The building houses both dealerships with separate drive thru service drop-off areas. Radiant tube heaters are used to provide more comfort in all service areas to compliment the packaged HVAC units that condition the entire building. New full sales and service automotive dealership. Renovation and expansion of an existing dealership. Complete renovation and showroom/service expansion to an existing dealership. 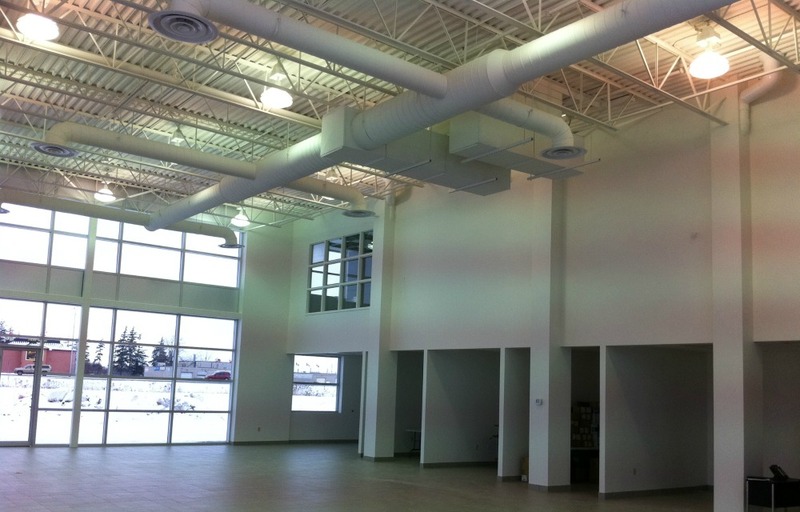 Complete renovation and large expansion to an existing dealership. Expansion of an existing dealership building. New full sales and service motorcycle dealership. Renovation of existing retail building into Canada's first Cadillac-only auto dealership.